Among the most ancient symbols of rebirth or resurrection was the colored and ornately decorated egg. It goes back in time to at least 7000 BCE and reflects the Earth goddess Gaia and was the reason for numerous celebrations of spring in all nations from the Nordic world to Greece to Egypt and beyond. 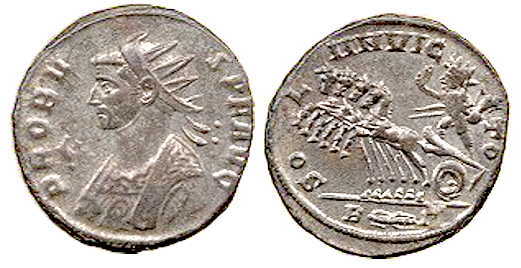 Only later, when the institution established by the Emperor Constantine (known as the Christian church after he had his warrior bishops agree to the unification of various sects of Christians in all reaches and regions of the empire) at his Council of Nicaea. It was the emperor who defined that the egg would be adopted as a symbol of the resurrection of Jesus of the New Testament in an effort to get all people of the empire to worship Sol Invictus (God of the Sun or Son of God) as the supreme god and lord over other gods (monotheism was an unwelcomed novel idea that generated in Egypt, and was not a part of Judaism until after the Exodus, and even then, through the days of the Prophets, the Jews turned to worship many deities). 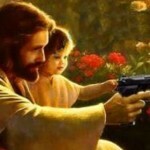 A special god—a rabbit—was brought to the high altars of leading churches to be the one who would carry the eggs to good children; bad children were given nothing. 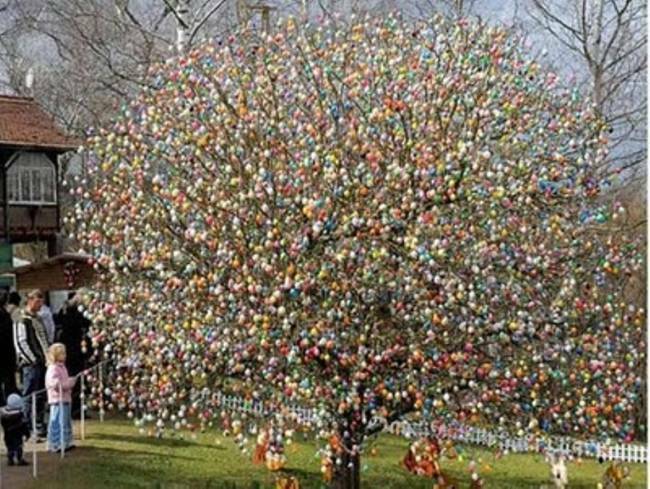 These eggs are often hidden, allegedly by the Easter (the goddess Eostre) Bunny (symbol of the goddess), who was a special messenger (angel because many believed it flew by flapping its ears to gain altitude) of the King of Gods (Zeus/Jupiter). The eggs were generally put in a basket (known as a manger) filled with straw to resemble a bird’s nest which was the resting place of the new life form (a bird known as a Holy Spirit) which would announce the resurrection of the local deity. The deity was the earth itself: a female goddess for all faiths who was worshipped as the Mother of Time. 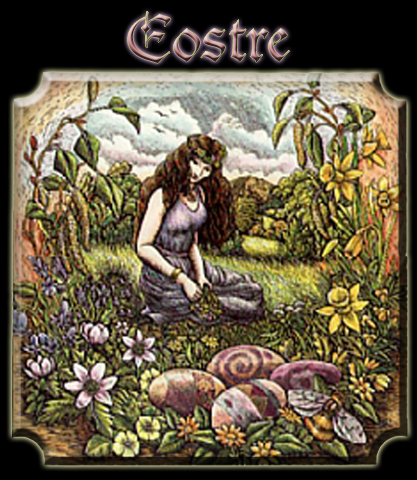 Her first born was a daughter (Eostre) who was able to give birth, but as her children dispoiled the earth, Eostre regretted her pregnancies and caused natural disasters in an effort to teach her children to take care of their grandmother and mother Gaia (The Greek word “γαῖα” (translated as gaia or gaea) is a collateral form of “γῆ” (ge, Doric “γά” – ga and probably “δᾶ” da) meaning Earth). 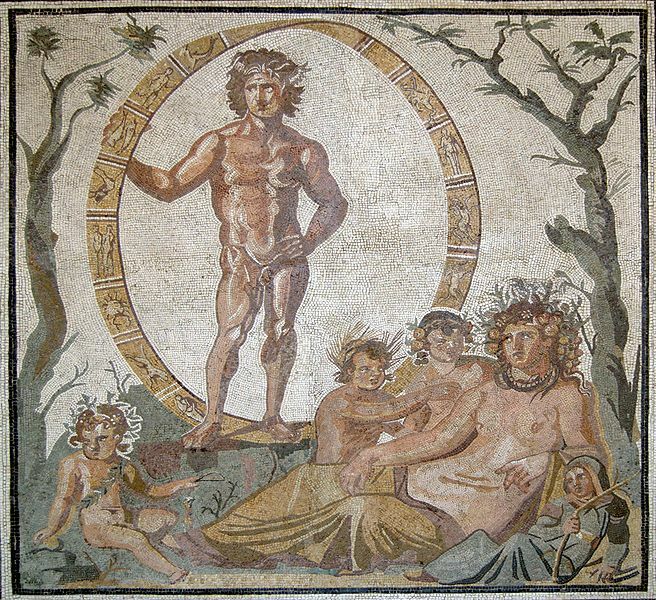 From this legend grew the story of the goddess Demeter (Δαμάτηρ) which was “Mother Earth” and out of it centuries later, some scholar would argue, came Δαμά who would become transgendered into Adam (the letter delta would be moved so that the masculine would appear). Gaia was self-contained (parthenogenesis) and gave virgin births through immaculate conceptions induced by herself for she was both male and female depending on the need of the planet. From her body the four seasons were born. 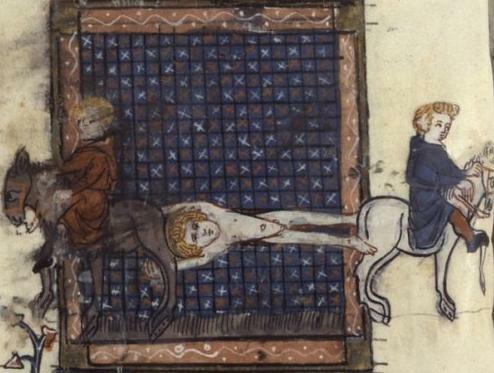 Prudentius wrote that Hippolytus died a martyr being torn apart by wild horses: (“Peristephanon”, Hymn XI, in J-P Migne, Patrologia cursus completes … serie Latina, LX, 530 sqq. ; cf. Acta SS., August, III, 13-14; Surius, De probatis Sanctorum historiis, IV, Cologne, 1573, 581 sqq. ), shed on the Cross, and the hard shell of the egg symbolized the sealed Tomb of Christ—the cracking of which symbolized his resurrection from the dead. Followers of Eastern Christianity claim that Mary Magdalene was bringing cooked eggs to share with the other women at the tomb of Jesus (a ritual performed in memory of the dead, originating in ancient Egypt and Ethiopia), and the eggs in her basket miraculously turned brilliant red when she saw the risen Christ. 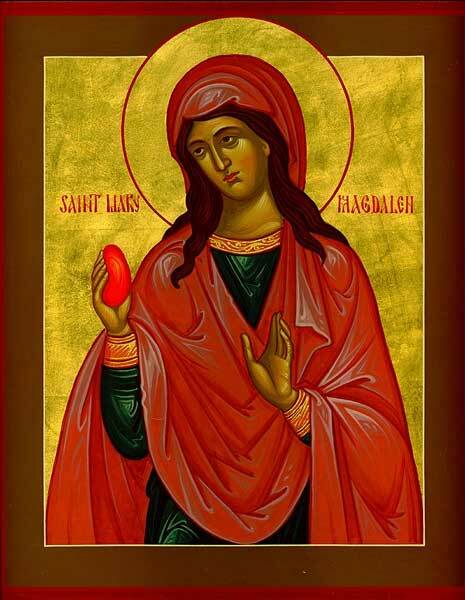 http://thegoodheart.blogspot.com/2010/07/mary-magdalene-and-red-egg.html . Much of the Easter Bunny legend as it is today comes from ancient England where the Venerable Bede, an eighth-century Christian monk and historian, declared that the very word “Easter” is derived from “Eostre,” the ancient pagan goddess of fertility largely venerated by the Anglo-Saxons. Bede’s historic writings contain a letter from Pope Gregory I written to St. Mellitus around 601 C.E. The letter, composed while the pope was en route to England in hopes of converting pagan Anglo-Saxons, suggests allowing pagans to continue celebrating their ancient rituals but altering the meaning of the rituals in veneration of Jesus Christ. “To the end that, whilst some gratifications are outwardly permitted them, they may the more easily consent to the inward consolations of the grace of God,” wrote the pope. It made its way to the home of the Anglo-Saxons: Germany which had/has two provinces: Anglia and Saxony, from which Martin Luther came and built into his theology the mythology of the forests. 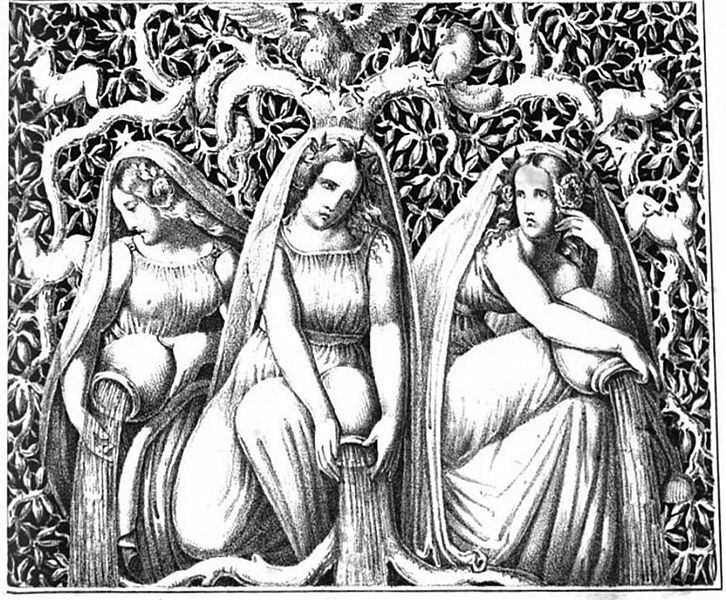 In Germany it became a myth recorded by Jacob Grimm. Grimm wrote about the origins of the Easter Bunny, or “Osterhase,” in 1835, stating that both the Easter Bunny and decorated Easter eggs related back to the goddess Eostre and found confirmation for this in local churches who maintained the theology of the forests to keep the German folk content since Roman mythology was disconcerting and led to numerous Peasant uprisings (which Martin Luther condemned in 1525 by encouraging violence against and murder of “the rabble” in revolt against their rulers, in his Wider die räuberischen und mörderischen Rotten der Bauern). Tawaret figurine (Boston Museum of Fine Art). Taweret who equally commanded apostles and sent them out to the world to preach her message of salvation and each convert was given a colored egg, with nobles (who brought their entire villages with them) given an egg encrusted with gold and jewels. In the Old Kingdom period “she took three principal names: Opet or Ipy (‘harim’ or favoured place), Taweret (‘the great goddess’) and Reret (‘the sow’)” which is why Muslims and Hebrews reject the pig as it was the most popular of fertility deities (Ian Shaw & Paul Nicholson, The Dictionary of Ancient Egypt, British Museum, Henry N. Abrams Ince. New York, 1995. p.283) and in time gained greater favor than any deity other than Isis or her son Horus who was known as “the Christ Magi[cian]”. on occasion she carried an ankh, the symbol of life, or a knife, which would be used to threaten evil spirits. She was known to be favored by Horus and according to records left on clay tablets would bathe his feet with her tears of joy being near him, and then drying his feet with her hair. It must be known that she was associated with the female hippopatamus because of her protective nature, turning on evil to save her children and those who followed her–unlike the male who was generally aggressive even when not provoked. It was because of Tawaret, that Egyptians included the egg on temple and pyramid drawings–art forms that would later find coinage in ancient Rome (the Egyptians gave to the world, through their travels to Babylon and surrounding nations, the legend of the Tree of Life which applied to Osiris and Isis (the original “first man” and “first woman”; cf. http://ancientegypt.hypermart.net/treeoflife/ and it was the ancient Egyptians who initiated the coloring of eggs, and it’s a custom mentioned in the pharaoh’s famous Book of the Dead and in Akhenaton’s chants, “God is one, he created life from the inanimate and he created chicks from eggs.” Hence, the egg was a symbol of life to ancient Egyptians. The Ancient Egyptians boiled eggs on Sham El-Nasim eve [a “good Friday in memory of the death of their crucified god Osiris], decorate and colour them in various patterns, then write their wishes on these eggs, tuck them in baskets made of palm fronds and hang them on trees or the roof of their houses in hopes that the gods would answer their wishes by dawn. The value of the egg for rebirth is seen most keenly in the bust of Akhenaten–a sculpture that defies tradition Ma’at regulations that required precision in depicting reality. 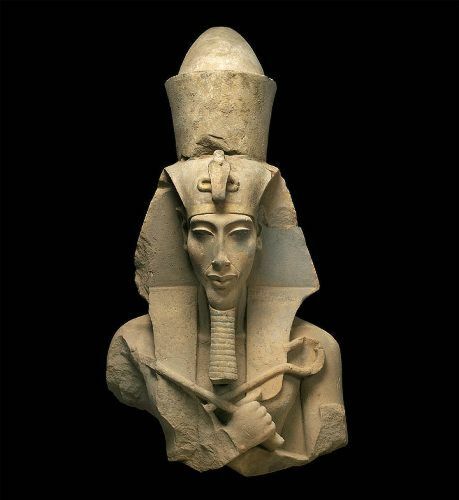 Akhenaten’s face is that of an ostrich egg, while he wears on his crown another egg symbolizing eternal life–which led to him being denounce by priests and courtiers who, when Akhenaten died, restore the old religions and ways; cp. http://www.ancientworlds.net/aw/Article/995255). Rome would carry the colored eggs and the religion of ancient Egypt to its conquered provinces and incorporate them in local ontologies and theologies. These theologies and their symbols were accepted by the Greeks and Greek schools of philosophy and taught to visiting scholars from Samaria, Judea, and throughout the Middle East. It is out of this milieu that the legend would have Saint Paul would pass into the Hebrew world. 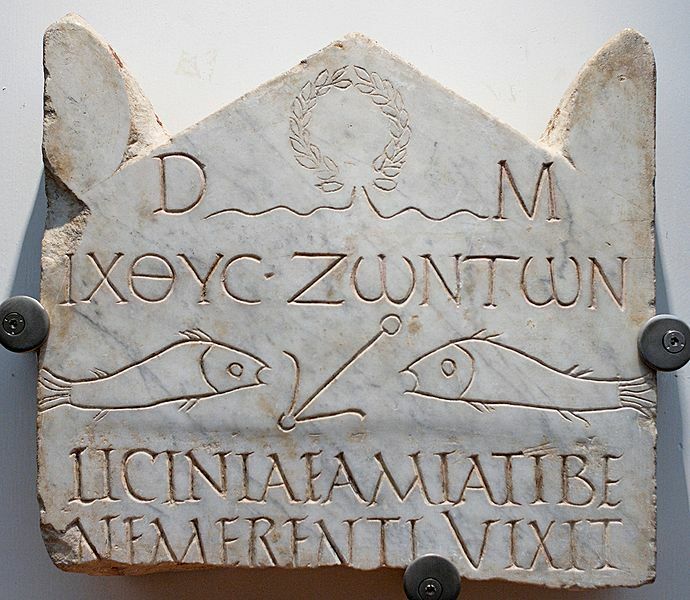 Christians (before the founding of the church in the fourth century CE) would incorporate not only the egg but also the fish, which is Greek is icthus (in Kione Greek it is ἰχθύς, capitalized ΙΧΘΥΣ or ΙΧΘΥC) that early Christians would claim as an acronym for Iesous Christos Theou Yios Soter, meaning, Jesus Christ, Son of God, Saviour(http://www.ely.anglican.org/education/schools/collective_worship/documents/icthus.pdf). The symbol of the fish as a life-giver was associated with various deities: it has been associated with Aphrodite, Atargatis, Dagon, Ephesus, Isis, Delphine and Pelagia, but not with the New Testament Jesus until late in the First Century CE and then only in drawings. It does not appear as words or interpretative-words with the stylized art work of a fish until early in the Third Century CE. This is really interesting. 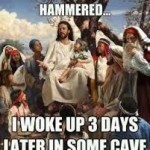 It is fairly well known that the celebration of Easter has it’s roots deeper that Christianity. I know some won’t admitt to that because,after all, that would be peganism, wouldn’t it? You surprise me Dr. Ide with each article you publish. I encourage you Dr. Ide to continue with this little space where I can find an opinion based in historical and real facts that only a few agree. This gives me more arguments when I try to talk without fear about things that in many countries are taboo. Religion is an example of this. Long time ago, I stopped believing that I was committing a sin when I was talking about Jesus or God.